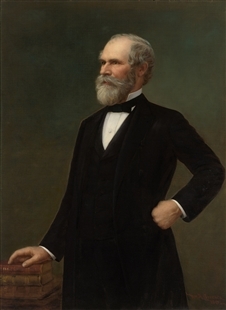 The most infamous floor brawl in the history of the U.S. House of Representatives erupted as Members debated Kansas’s pro-slavery Lecompton Constitution, when Galusha Grow and Laurence Keitt exchanged insults, and then blows. “In an instant the House was in the greatest possible confusion,” the Congressional Globe reported. 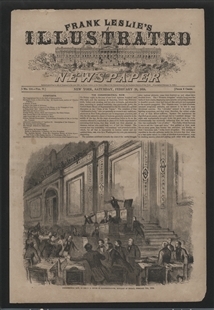 This print shows a final, humorous moment in the conflict, when John “Bowie Knife” Potter and Cadwallader Washburn ripped the hairpiece from the head of William Barksdale. A wig-wielding figure can be seen in the left side of the crowded foreground.